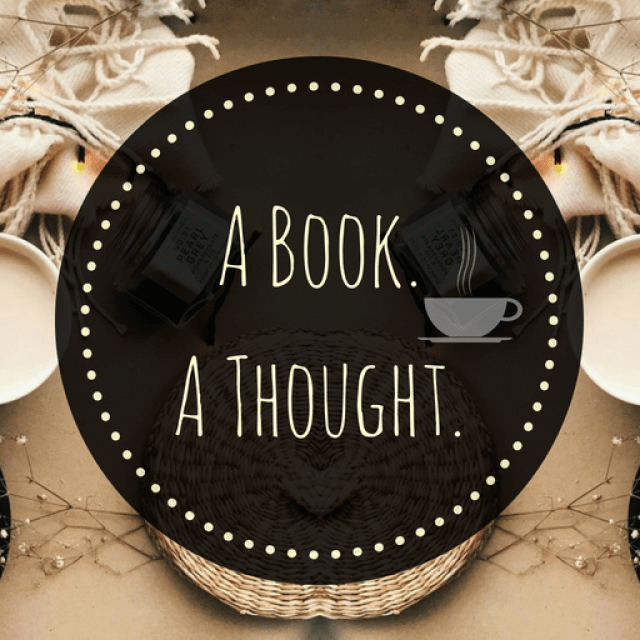 It’s Monday!, What are you Reading?🌿 | A Book. A Thought. 8 April, 2019 7 April, 2019 / Sofii @ A Book. A Thought. This book is very good in terms of representation and history, the book follows Christian and Muslim characters, and I think it’s very rich and interesting to read because of that, we have discussions about beliefs and religions which is great. Also, note that the author has researched very well on the subject before writing, what is always appreciated. I couldn’t wait to read this ARC, I’m so excited, you know I love the Wayward Children saga, so reading a new book from the author is a pleasure for me. Any of these could be my next reading, I know I’ll be starting to read A Darker Shade of Magic by V.E. Schwab very soon along with my boyfriend but as we read that one, I’ll also be reading another one and that could be Ask Me Anything by Molly E. Lee, which seems like a lot of fun but also interesting. I also want to continue making a lot of progress this month with my ARCs and so next month I will not have so much pressure with them. That first one sounds really good! I’m currently reading two ARC’s: “Kill Code” and “For the Blood is the Life”. It is, especially if you like historical fiction! I used to think I didn’t like historical fiction, but I’m in love with Lee’s “Guide” series … so maybe I am?? I’m about 20% into King of Fools by Amanda Foody – loving it so far! 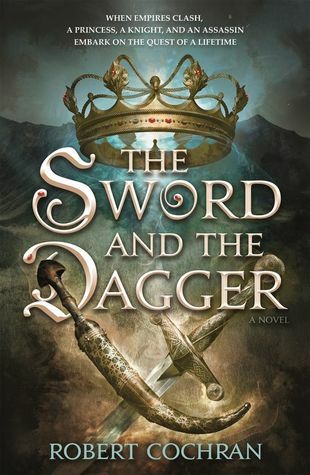 The Sword and The Dagger looks good! I’m currently reading a romantic suspense by Laura Griffin- Stone Cold Heart. I’m glad to hear you’re enjoying the Seanan McGuire book so far! That sounds so cool!! I’m currently reading On the Come Up by Angie Thomas and LOVING IT! Yes, yes, yes don’t need to be a rap fan, it is about expression in verse, issues like Hate U Give and fun pop culture references. Middle Game sounds super intriguing! I’m definitely going to have to look into it more! And I hope you love A Darker Shade of Magic! It’s such a great series! 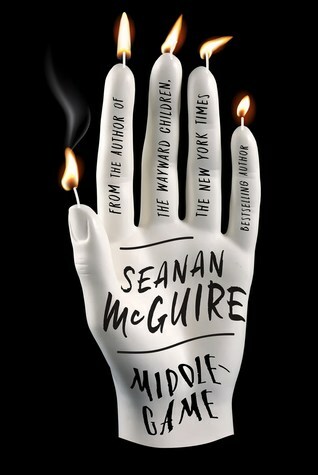 I am really intrigued by “Middle Game”. I have to read it. I can’t wait to read your review! “A Darker Shade of Magic”! Yessss! I love it so much! I’m so glad you decided to read it. I hope you’ll like it as much as I did. At the moment I’m reading “State of Sorrow” by Melinda Salisbury. I’m liking it. And I was sure I would like it because it has all the elements of a book that is likely to appeal to me: Magic, a Court, Two enemy Reigns, romance, beautiful worldbuilding. Ahhh, Middlegame sounds SO GOOD. I really need to get more of the authors books they all sound really great. AND, you had me at similarities between this book and The Umbrella Academy. Literally saw that and I was like YEP SIGN ME TF UP. I just finished TUA so I’m feeling a little hungover from it and missing it! I am actually reading Meghan Quinn’s Binghamton Series and I’m on book 3. Have you ever read it? Yeah, it’s fun and entertaining. I just read a book of Oscar Wilde poetry which was blah, I definitely like his stories much better. I’m currently reading Lost Gods by Brom which has just sucked me in like nothing else. It’s dark and magical and Brom is SO good at keeping me guessing through his stories. I am loving this book. I’ll probably also be reading A Darker Shade Of Magic next. I just bought myself the trilogy box set for my birthday and, after listening to the author on The World Shapers podcast, I’m more excited to finally read it. I’ve seen Middle Game elsewhere and haven’t get added it to my list but I might consider. VE Schwab is on my TBR after hearing an interview with her on Writing Excuses podcast. Can’t wait to get to her work. I’ve heard really great things about the Near Witch as well as the others so who know where I’ll start. So I’m getting to this at the wrong end of the week but great post. Looks like you had some good reads with hopefully some good ones still to come. Hope you’ve had a good week!